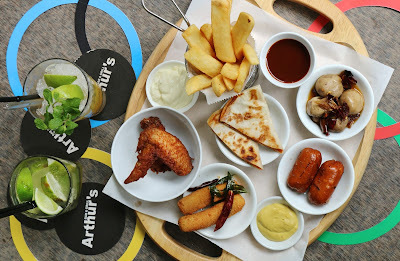 Arthur’s Bar andGrill at the Shangri-La Hotel, Kuala Lumpur is all set for Olympics 2016 with special food and drinks to delight patrons watching the Games here from 5 to 21 August. 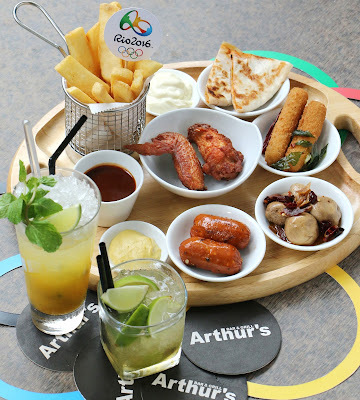 There is the Rio Platter that’s great for snacking, comprising steak fries, chicken wings, mozzarella cheese sticks, chipotle chicken quesadilla, Kielbasa cheese knacker sausage and portobello mushrooms at RM45 nett. 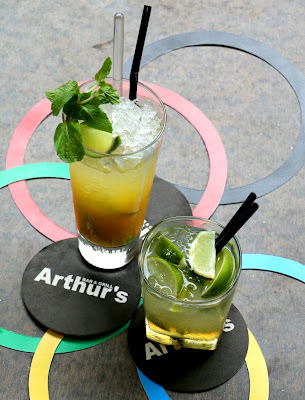 They can delight in special Brazilian-themed Olympics cocktails such as Canchanchara and Brazilia, at RM43 nett each or Beer by Tower (Tiger or Carlsberg) at RM140 nett. 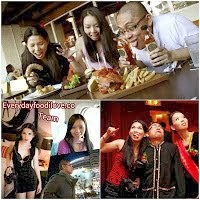 This Manhattan-style pub and grill is also well-known for its Slow Roasted Australian Black Angus Prime Rib with Yorkshire pudding, vegetables and potato, burgers, satay, local and western snacks. There is also a wide selection of drinks, from signature cocktails to beers and wines by the glass.